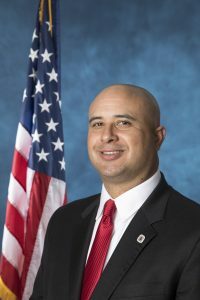 Gonzalo La Cava, was named the Chief of Human Resources of the Palm Beach County School District in May of 2016. Palm Beach Schools is the 10th largest district in the country with a student enrollment of more than 183,000 students. The annual budget exceeds $2.3 billion and the District is the largest employer in Palm Beach County with over 21,000 employees. As the Chief of HR, he leads the strategic and tactical human resources division of the school district and oversees talent management, negotiations, labor, employee relations, and compensation. In his prior role, he served Fulton County Schools as an Area Superintendent in Atlanta, Georgia and supported 19 schools and over 20,000 students to achieve the district’s goals. Dr. La Cava has also worked as a teacher and principal in Orange County Public Schools, Florida. Dr. La Cava serves as a member of the board of directors for the United Way and the Housing Leadership Council of Palm Beach. He holds a bachelor’s degree in Exceptional Education and a master’s and doctorate degree in Educational Leadership from the University of Central Florida. Dr. La Cava and his wife Amanda have two beautiful young children Isabella and Sebastian.